Correct me if I’m wrong, but there is not much better than a bowl of hot melty cheese. Unless of course, that bowl of hot melty cheese is actually a bowl of THREE hot melty cheeses. And that is exactly what I have for you today. There are so many variaties of queso out there. Most of them, like this one, include processed cheese like velveeta, or American. Sometimes cheddar, mozzarella or jack. Basically, the options are pretty much endless. When choosing a cheese, you just want to make sure that it melts well. For example, cheddar is good, parmesan not so good. 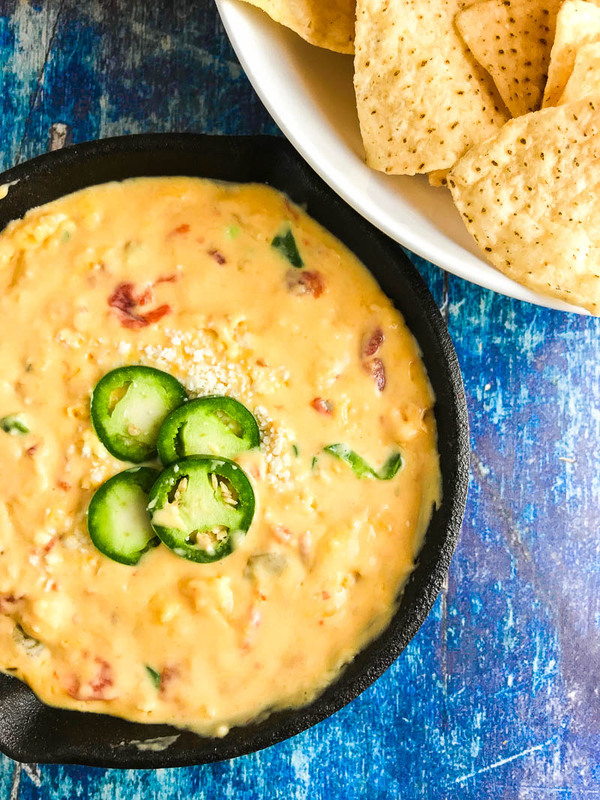 This Queso Dip has not one, not two but three different kinds of cheese: Velveeta, pepper jack and cotija cheese. Queso dip is always a hit around here. 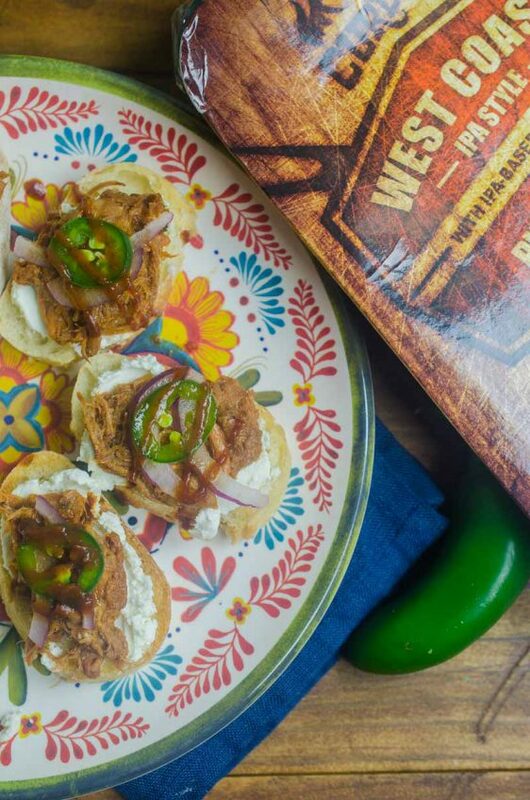 Whether we’re making my famous shrimp tacos, bean and chorizo taquitos or just want a snack, tortilla chips and queso dip will make an appearance. 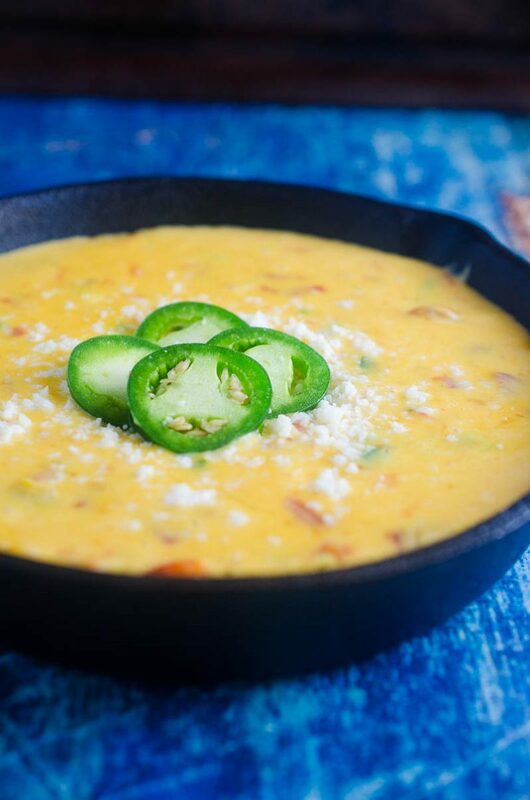 Making this queso could not be easier. Seriously. Step one: Gather the ingredients. You only need five! Velveeta, Rotel, Pepper Jack Cheese, Cotija and Jalapenos. Step two: Melt the velveeta and rotel in a pan over medium heat. Once the velveeta has melted whisk in remaining ingredients. Continue stirring until pepper jack is melted. Can you reheat queso dip? Yes! You totally can. Simply put it in a saucepan and heat until warmed through. You could also warm it in the microwave in 30 second increments until warmed. 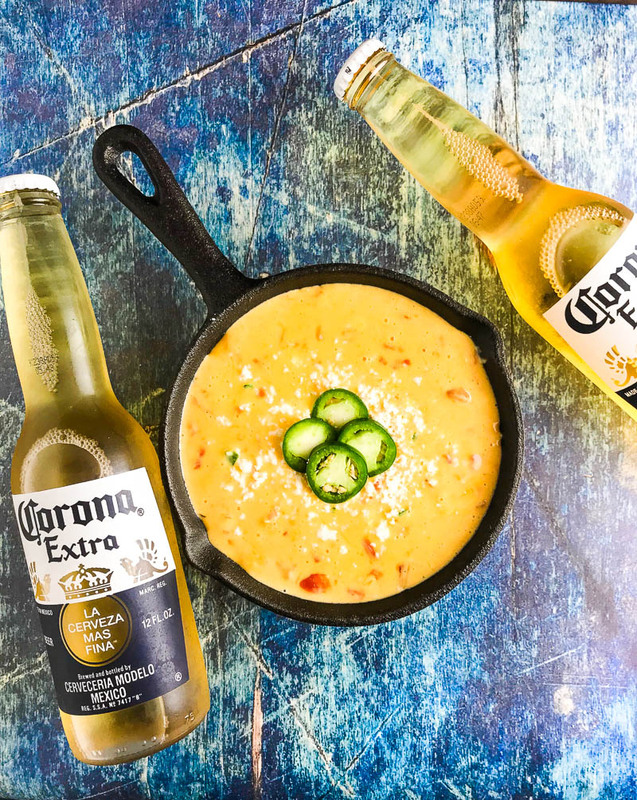 What do you serve with queso dip? Obviously, tortilla chips are the number one choice. 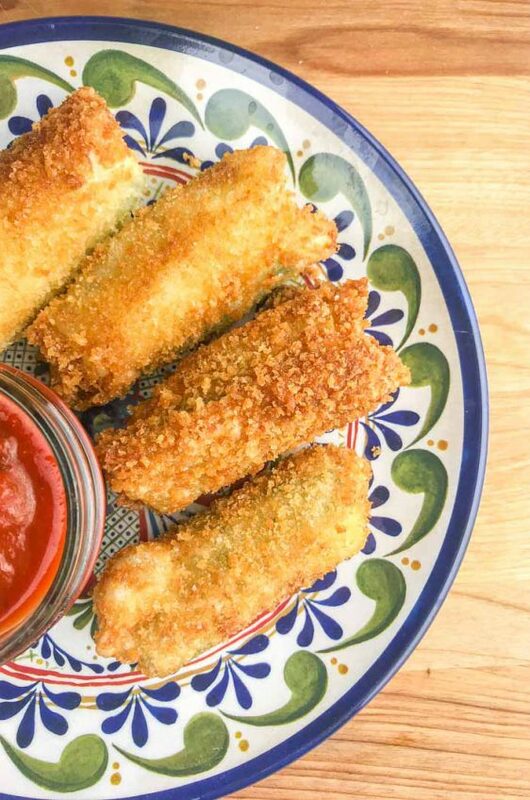 You could also serve it with veggies or as a dip for taquitos. You could also eat it with a spoon. No judging here. Combine rotel and velveeta together in a small saucepan over medium heat. Cook, stirring occasionally, until velveeta has melted. Stir in pepper jack cheese, cojita cheese and jalapeno. Cook until all cheese has melted. Queso dip is one of my favorite appetizers! Love the idea of making it with 3 different cheeses! 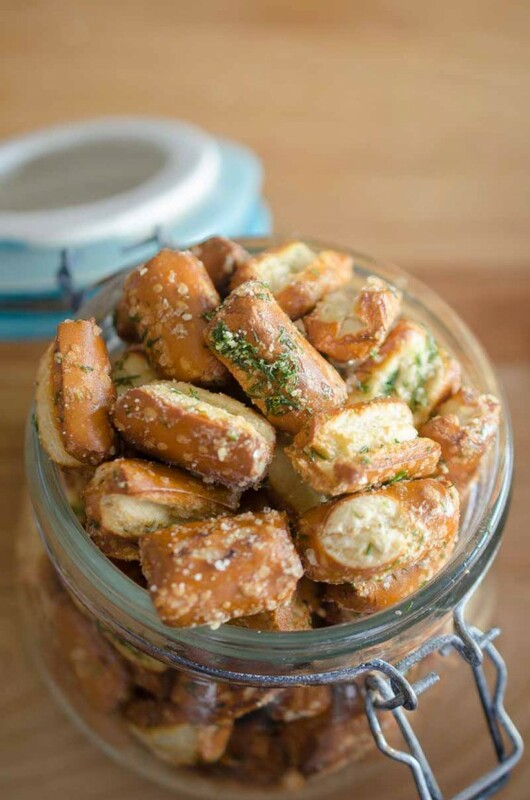 Love this cheesy deliciousness!! It’s sure to disappear fast! 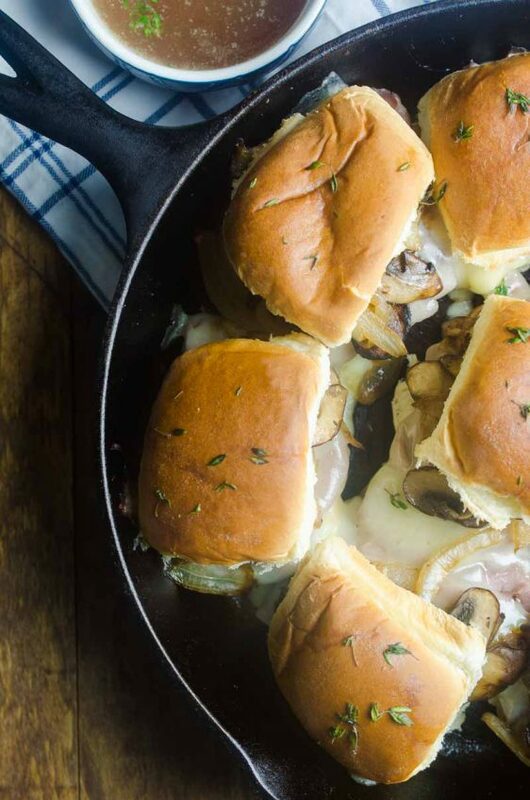 Easy, cheesy goodness! Can’t wait to start dipping! This dip looks and sounds really delicious! It’s sure to be a party hit! Always love a good quest dip! Perfect for get togethers! There is no better dip than your dip, my absolute favorite!! 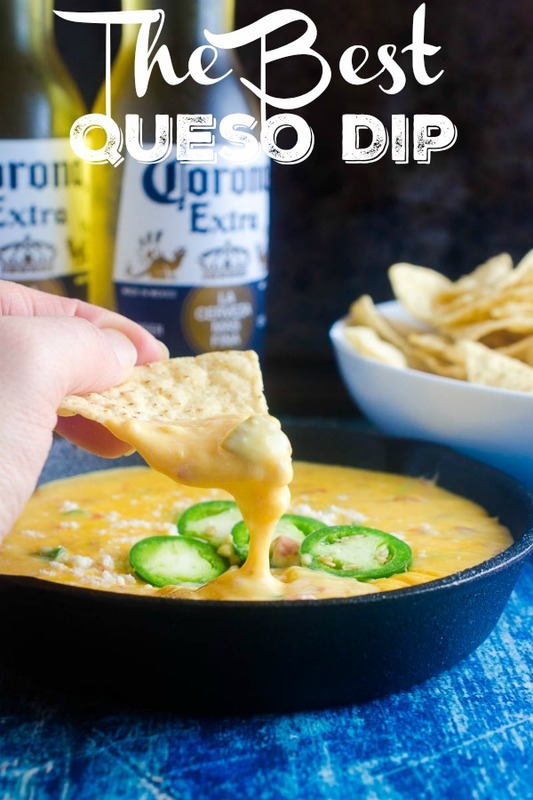 Recently we tried queso dip and fell in love with the taste, I must try very soon in my kitchen too. 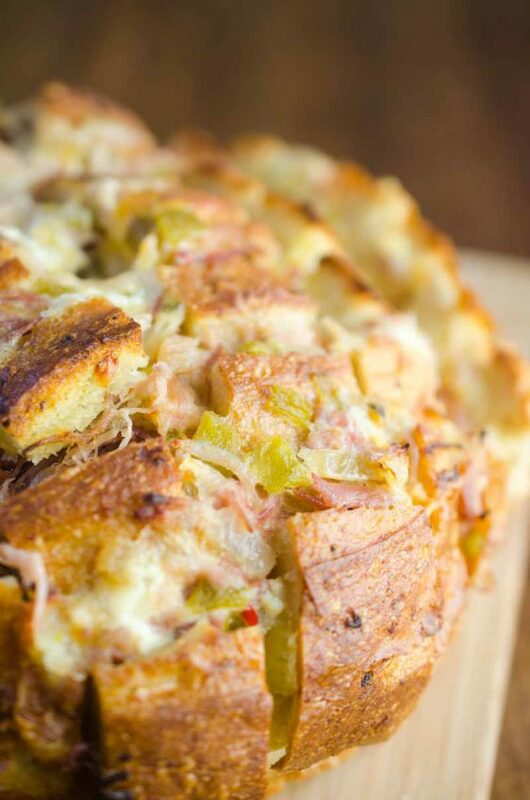 Such a delicious and crowd-pleasing dish. We are queso fanatics over here! This one looks spectacular! 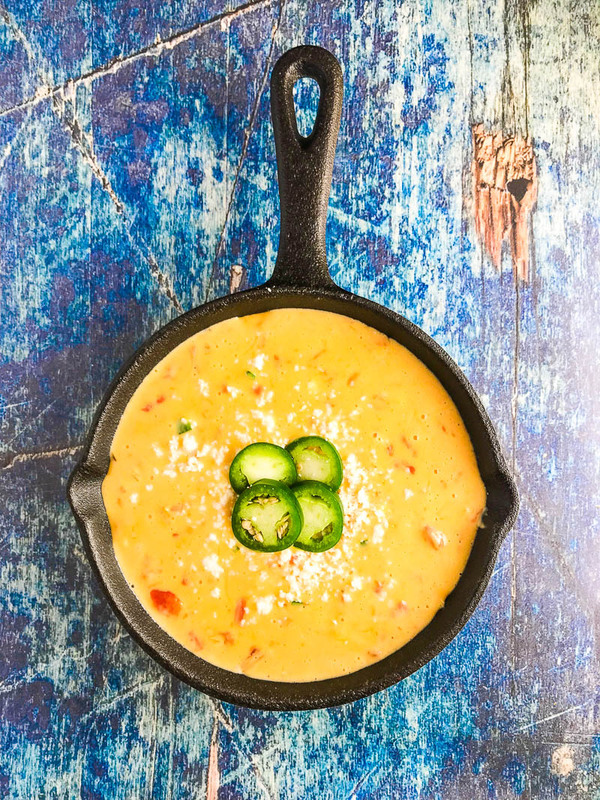 Queso is like liquid gold. Can anyone resist it? I know I can’t! Salty chips and all that saucy cheese make my heart pitter patter! Thanks for the recipe! My husband and I could literally live on this dip (with chips of course) alone. Cheese cheese and cheese—that’s all we need!! Life would be pretty dull without an amazing cheese dip! And you HAVE to include a little kick to it. We don’t buy cans of Ro-Tel — we buy cases of it. 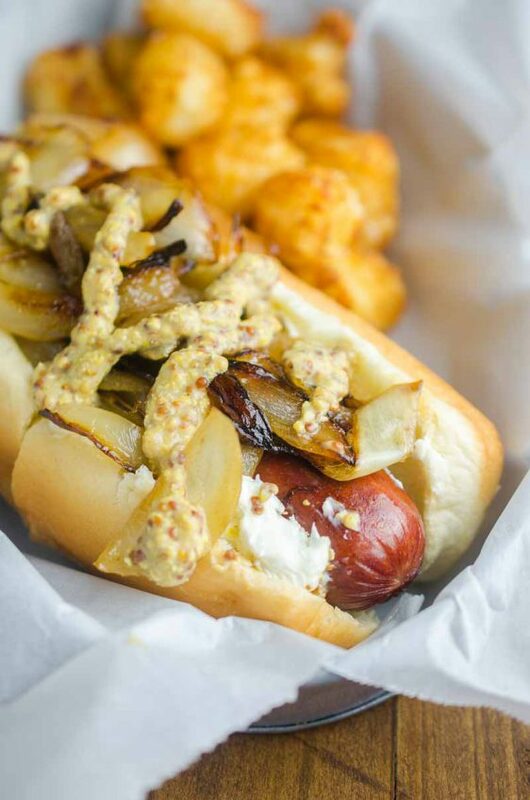 We do use the processed cheese for sauces – it melts beautifully and I really like your addition of other cheeses. I’m trying out your recipe. 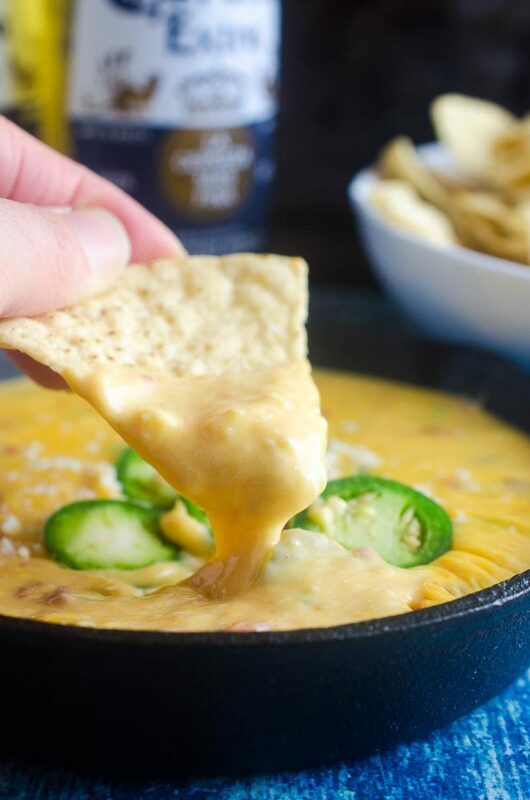 I have always loved queso dip but never make it at home. Pinning this one for later!! My mouth is watering – this dip looks divine!! SUCH a good idea to make this with 3 cheeses. 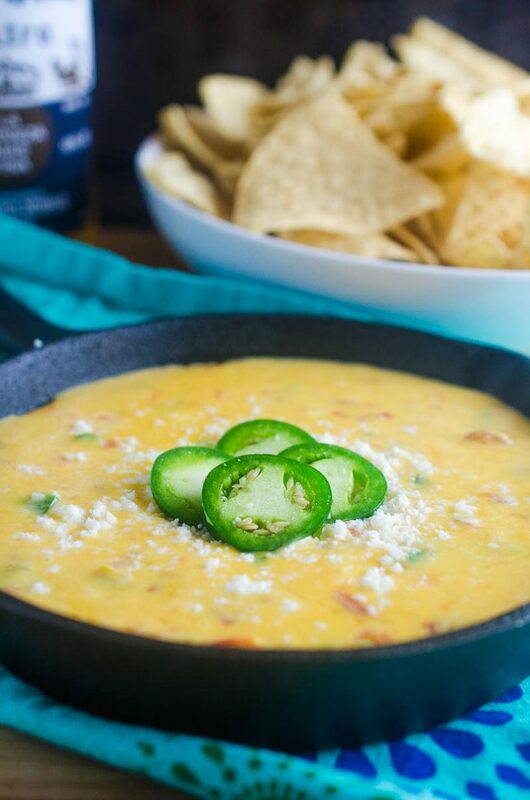 I’ve been craving queso and now I want it even more after looking at your photos! I love the sound of this dip. What a great way to get the party started. Perfect for movie night too. I think I could eat this by the spoonful LOL! !